Sometimes a demo is worth a thousand words. Start with a preloaded list of companies and experience the power of Blockspring. 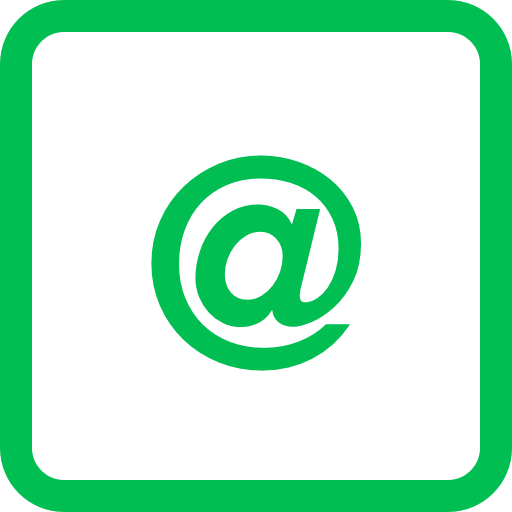 You have a list of companies, now it's time to find email addresses for your outbound campaign. That's where Hunter comes to the rescue. 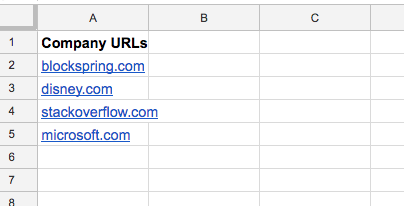 Instead of searching for emails, you can build a prospect list in minutes. No two companies have the same domain name. That's why your company list needs company URLs. If you're spending time finding company URLs, automate the process using Bing Search. If you're building a comprehensive company list, you want information like industry, size, location. Where better to get that info than Linkedin. Collect a list of Linkedin company profiles stat with this enrichment which pulls realtime data right from Linkedin. Have a list of companies and need to know what jobs they're hiring for? 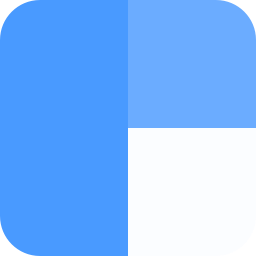 Build a job postings list fast using Indeed. Have a list of companies and need to know what jobs they're hiring for? If you're hitting refresh on Linkedin all day, there's definitely a better way. Collect a list of recent Linkedin job postings for a set of companies. This uses Google to search across Linkedin based on your company name. 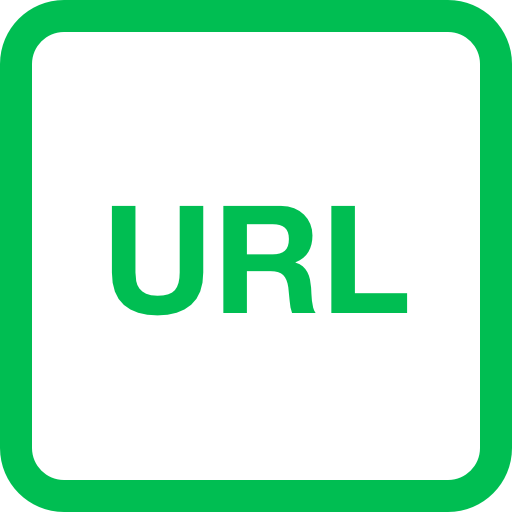 If you're spending all day searching for company URLs, this list will automate the process using Clearbit. 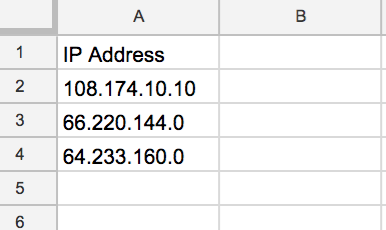 Want to learn more about a set of ip addresses? That's what Enrich is for. All you need is an ip address and you get seemingly limitless profile info. Try it out!